Pono Shim is a gifted storyteller who is known for using illustrations to connect with his audiences. Pono believes that the majority of social issues facing individuals, organizations, local, national and international communities are symptoms of deeper problems that can and must be addressed today. 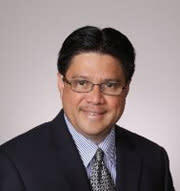 In 2009, he was asked to take over the leadership of Enterprise Honolulu (now the Oahu Economic Development Board). At the time, the organization was in serious financial distress and had lost favor with the local community. Pono has deployed techniques of transforming the organization’s culture, collectively known as ADHOC (Aloha Defines Hawaii’s Organizational Culture). Today, the organization is financially stable and considered an influential leadership hub in the state. Pono considers his exposure to Hawaii leadership philosophies as a child to be the backbone to his ideas, actions and words. He currently serves on various boards of directors, and is an advisor of both nonprofits and private companies, as well as task forces. Pono is a leader who is working to bridge the members of the community. He was selected as one of Hawaii Business Magazine’s 2010-20 for 20 - Hawaii’s top 20 Break Out Leaders for the Next 20 Years. In 2012, Pono successfully led the efforts of Punawai O Puuhonua’s New Market Tax Credit Application and was awarded a $40 million allocation for economic development in low-income communities for Hawaii. Envision Hawaii, Long Story Short, State of Hawaii Department of Human Resources, Hogan School of Entrepreneurs Chaminade University, Think Tech TV, Big Island Real Estate, University of Hawaii, Hawaii Charter Public Schools Network, Hawaiian Electric, Hawaii Tourism Authority, Statewide CASA Conference, State Legislatures Heritage Caucus, Native Hawaiian Speaker Series, Public Broadcasting System, Hawaii STEM Conference, Hawaii Healthcare Association, and Read to Me International, among others.